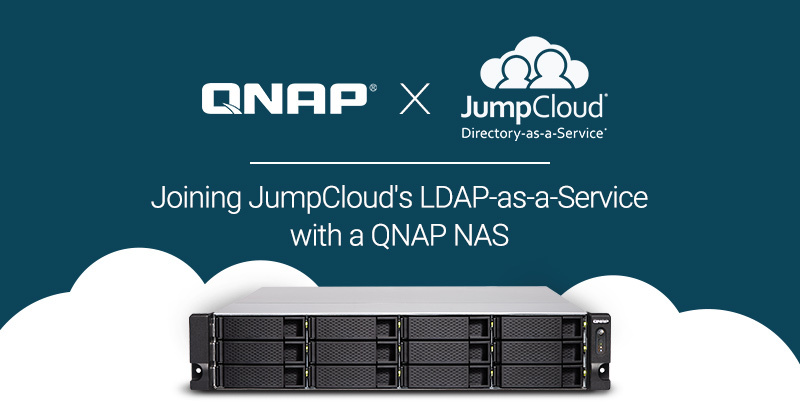 BOULDER, CO, and TAIPEI, TAIWAN – March 21, 2019 – QNAP® Systems, Inc. today announced support for JumpCloud® Directory-as-a-Service® (DaaS), a cloud-based identity and access management platform which enables secure single-sign-on to workstations and servers, on-prem and cloud-based applications, WiFi and VPN networks, and file shares. JumpCloud also integrates with core business apps including G Suite™, Office 365™, Azure™, AWS®, Google Cloud™, SalesForce® and thousands of other applications and services due to native support of standard protocols such as LDAP, RADIUS, and SAML 2.0. Businesses can benefit from a cloud-based platform with greater flexibility and cost effectiveness, while IT teams and organization members can work productively for user management with access to various applications, devices, and networks. Nick Scheidies is a life-long of computer technology since he could first use a mouse and keyboard. In his role as Content Marketing Manager at JumpCloud, Nick has specialized in learning about identity security and cloud-based infrastructure for IT organizations.